Cap One recently launched a new No Hassle Rewards Card targeting frequent travelers. The credit card earns two miles for each dollar of monthly spending above $1,000 and one mile per dollar on all other purchases. Cap One miles redemption is quite flexible, as you have the complete freedom to book your travel by any means you prefer with no blackout dates or seat restrictions. Customers can charge any travel related expense–including airline, hotel, cruise line and rental car transactions–to their card, then call Cap One to reimburse the charge with their miles. Each mile is worth 1 cent and the refund is credited on the next statement. 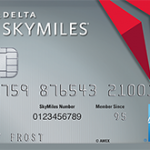 In addition, there is no limit to the number of miles you can earn and your miles do not expire. The card is currently offering 0% APR on purchases until October 2009 and has no annual fee. Like all Cap One cards, it also does not charge for foreign currency transactions. Overall, it looks like a reasonable option for those who regularly spend more than $1,000 a month and are looking for a travel rewards card. Note: Those looking for a similar business card should consider the Business Platinum with Double No Hassle Miles. Capitol one’s customer service is the worse customer service possible. They keep you one the phone for ever, transfer you to 20 people for a simple request. You will end up hanging up the phone without any resolution. Capitol one is an Macdonald’s of credit card.